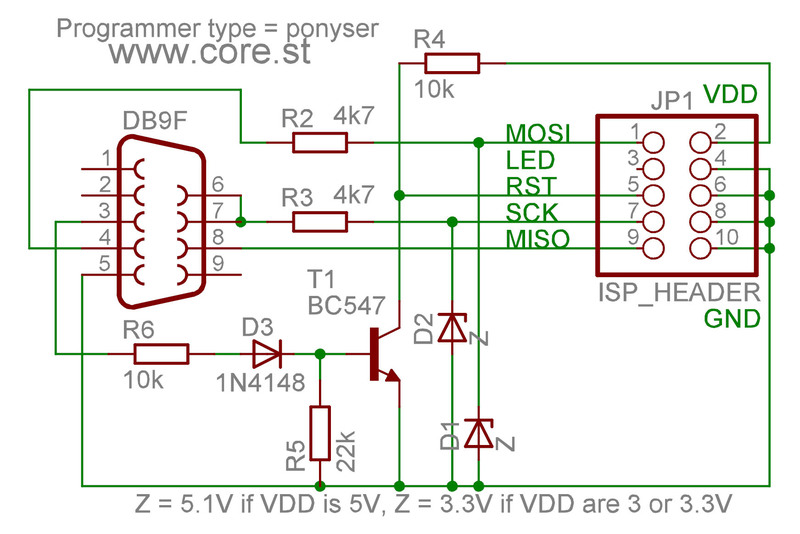 write AVRDUDE_PROGRAMMER = ponyser in your makefile if you are using WIN-AVR / avr-gcc and Avrdude. Tested for programming at 3V and 5V. 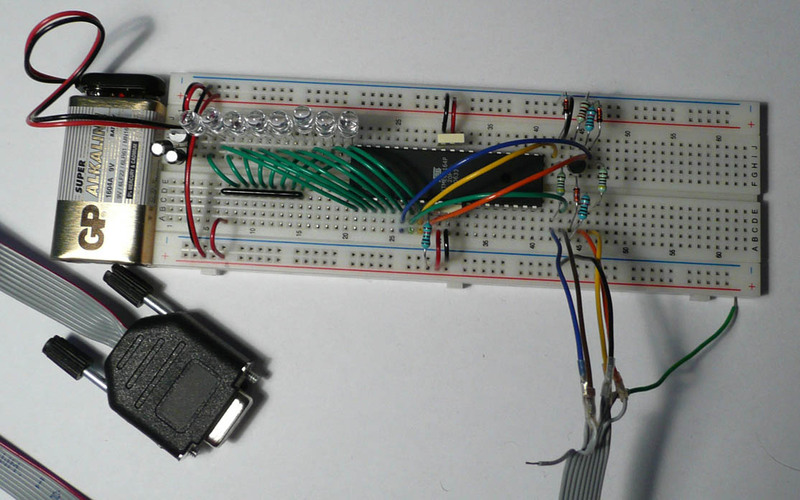 (tested with atmega168 and atmega164p). Even if 3V Zenerdiodes is suggested for 3V programming. 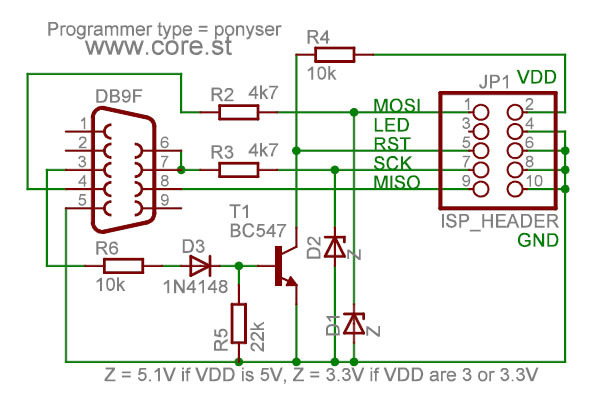 Then you might need to lessen the load (increase the resistance) on your ISP pins (MOSI/MISO/etc). e.g. in my case from 150 Ohm to 1k. E.g. MISO,MOSI.. pins to LED's to 150 Ohm resistors to VCC won't work if you try to program at 5V, but will work if you run at 3V instead. And then again, if you change to 1k Ohm resistors it will work at 5V. avrdude: reading input file "test1.hex"